Just like your PC or Mac at home, your car’s computer can give you errors. Making sure it’s in good working order is important in maintaining the safety of you and your family. 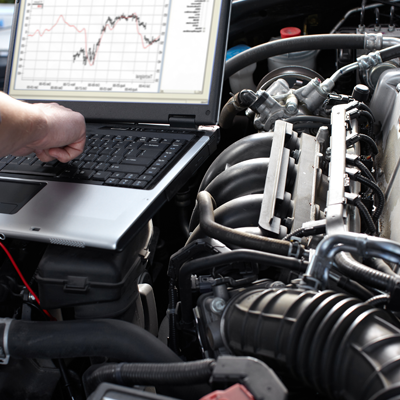 Your car’s computer is responsible for monitoring its emissions as well as interpreting information from various sensors, including the oxygen sensor, engine temperature sensor, throttle position sensor, air pressure sensor and more. Safety features are also controlled by your car’s computer, such as the air bag system and anti-lock brakes. If you’re seeing errors pop up on your dashboard, or you’re concerned because something feels off, give us a call and we’ll be able to diagnose any computer system problems your car may be experiencing.